Moving heavy machinery and objects safely is important. That’s why Sibbons provide you with the equipment needed to execute these tasks. 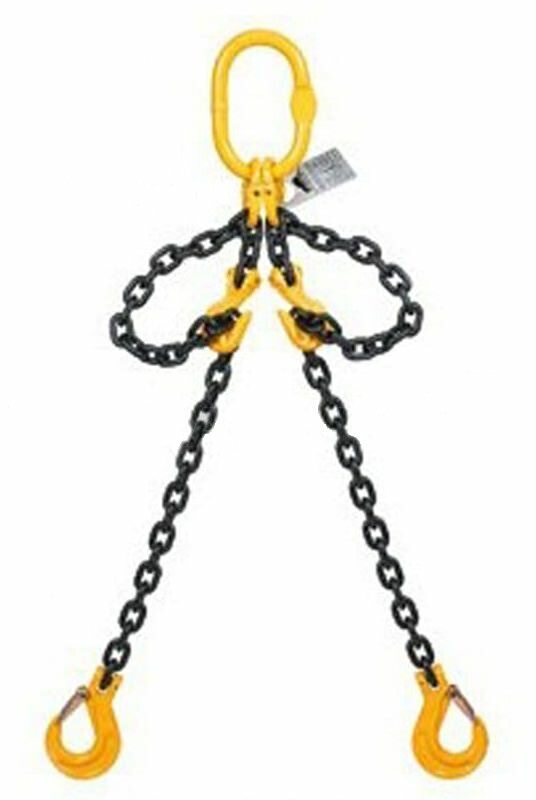 The products in this range include 1 leg chains, 2 leg chains, 3 leg chains, 4 leg chains and lifting chain attachments such as master links and hooks all of which have been fully tested. Need a fast reliable delivery? We assign a fast and secure distribution service on all of our products to ensure it reaches our customer on time. Need the products by tomorrow? Our next day delivery scheme is available on products we currently have in stock. Here at Sibbons we like to keep the customer satisfied, that why on any order over £100 you will receive the product the following day for free. We like to hear from our customers as positive feedback is vital. If you have any enquires contact our team on 01206 823448 or via the website. Want to keep up with the business and receive the latest clothing and newest equipment online? Then join us on Facebook! 1 leg chains make moving items easy, ensuring a secure lift these chains are found anywhere lifting is done. They are a cost effective, highly safe method of moving your items. All of our chains are certificated and are made to your specification. The 1 leg chain with a swivel hook offers effortless manoeuvrability with incredible strength, the c.3 tonne lift giving you an amazing capacity while the swivel hook allows you to place your item exactly where, and how you like. All of our chains are certificated and are made to your specification. Please note; clevis self locking hook pictured, not swivel hook, this item is supplied with a swivel hook. 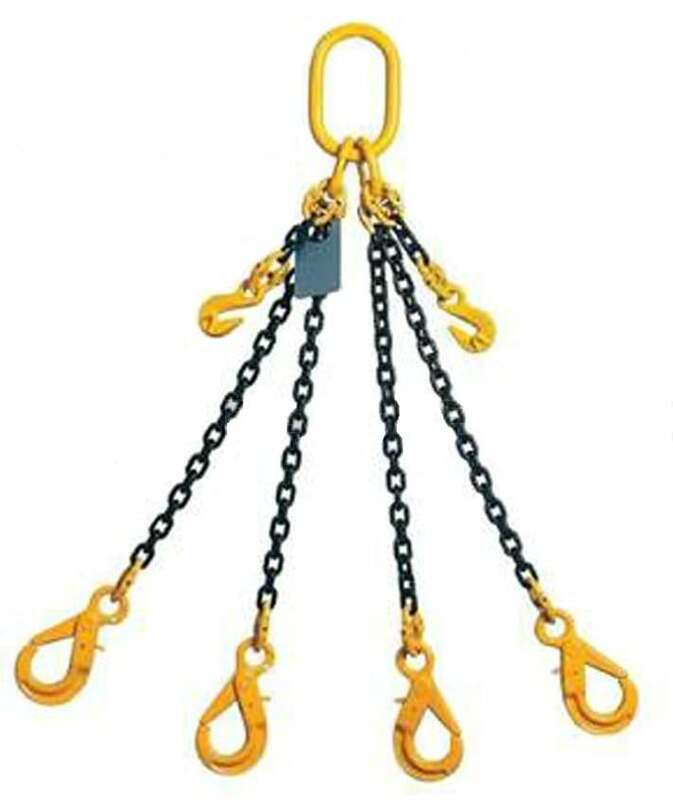 2 leg chains, also known as ‘brothers’, are a staple in any lifting job, helping you get what you need, exactly where you need it quickly and most importantly of all, safely. All of our chains are certificated and are made to your specification. 3 leg lifting chains are a highly effective chain popular in a huge range of industries, perfect in manufacturing, on site, or anywhere you need a secure lift. All of our chains are certificated and are made to your specification. 4 leg lifting chains are an incredibly popular style of chain ideal for moving an incredible range of equipment, from containers to rollers. All of our chains are certificated and are made to your specification. 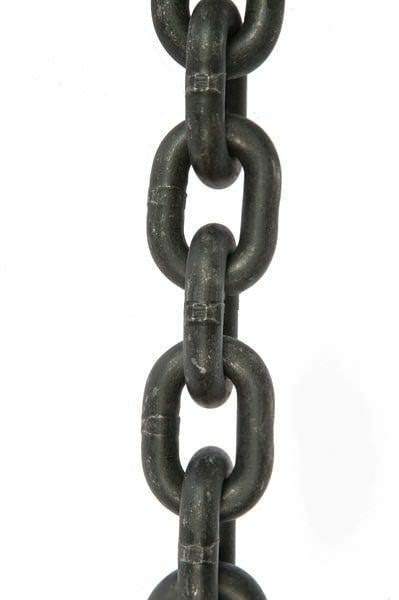 Grade 80 chain is a tough, close linked chain designed and tested to be perfect for lifting. The chain itself has an incredible range of uses and can also be used to replace a damaged leg on a lifting chain. Please select length desired.